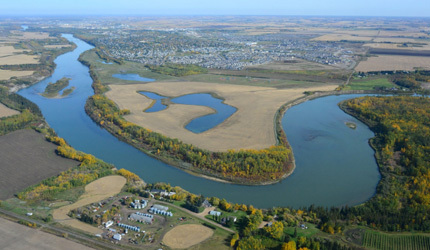 Edmonton is one of 24 municipalities that belong to the Capital Region Board (CRB). The CRB members are diverse and have a common goal — to make the best decisions possible for the citizens of their communities and for the Region. The CRB provides a venue for its members to think strategically and work together to ensure that the Region achieves its full economic potential and the highest quality of life possible for residents. The City’s Regional Planning Section provides support for various CRB activities and initiatives including: development and implementation of the Capital Region Growth Plan, evaluation of submissions to the Regional Evaluation Framework, and work for the Planning Advisory Group.